Since Apple first brought forth official support for third-party gaming controllers along with iOS 7, peripheral makers have continually offered their takes on what a modern-day joypad should look and function like. But although the announcement of Made for iPhone accessories was lauded by certain sections of the mobile gaming world, things haven’t quite taken off as Apple might have anticipated, and Wikipad’s new Gamevice effort for the iPad mini will seek to finally give this market the boost it appears to require. When you think about it, the iPad mini is arguably the most apt for mobile gaming out of the iOS device roster, with a sizeable enough display to provide an immersive enough experience allied to a form factor that can still be squirrelled away into a coat pocket. 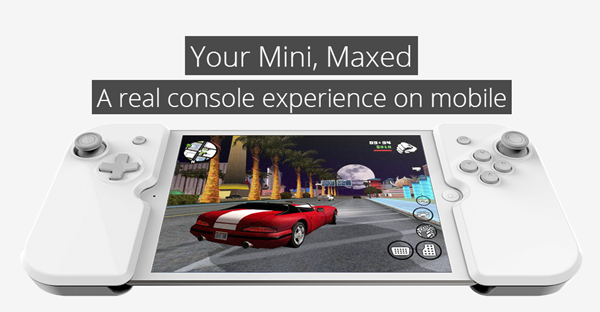 The only problem is that touch-based controls are quite difficult to utilize on the tablet, but the Gamevice attempts to resolve this issue by flanking a landscape-orientated iPad mini with the usual allocation of buttons and toggles either side. The recent E3 gaming expo played host to a bunch of game controller announcements for iOS, and although the market is becoming more and more saturated, no product seems to have really seized the initiative and dominated sales. The Gamevice essentially turns the iPad mini into an augmented Game Boy Advance, and although one could argue that a stand and a separate MFi controller might amount to a better overall solution, Wikipad’s effort is, at least, something of a departure from what this fledgling industry has continued to churn out over the past months. On either side of the Gamevice lies a thumb toggle, with the left-hand side also enjoying the benefits of a traditional d-pad. There’s an ABXY button quartet on the left-hand side, while the controller is finished off nicely with a trigger and index-finger button at the top on each side. 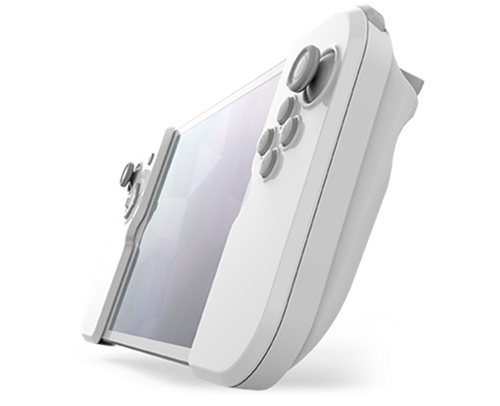 Given the stuttering start for MFi controllers, do you feel that the Gamevice has the pedigree to finally take things to the next level? Do share your comments below!